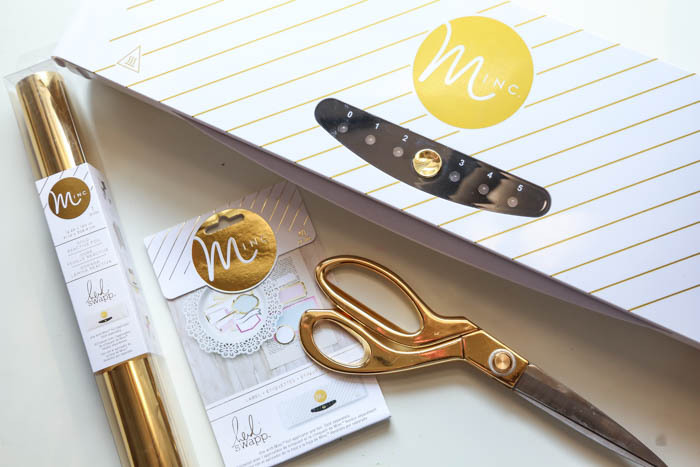 These DIY Gold Foiled Backpack Tags are sure to jazz up even the most boring backpacks! Make one for your kid and send them off to school in style! School started! *Cue Hallelujah Choir singing* Don’t get us wrong. WE LOVE OUR KIDDOS but they were SO ready for structure and routine again. My kids (Mallory) were done with school in April since we moved from New York to Arizona so it was a looooong 4 months of no school, very little structure and lots of bored, tired kids at home. Since school has started, we’ve all been happier, more productive and SO much more structured around our house. Savannah and I decided to make these super cute foiled backpack tags for her little gals’ backpacks this year. 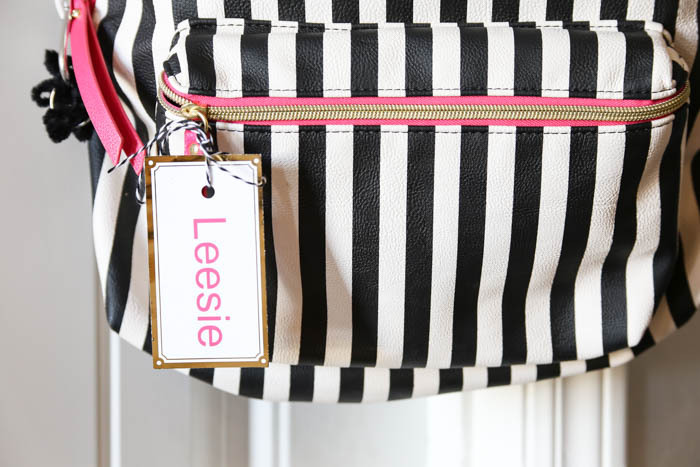 They have these amazing Betsy Johnson backpacks and we knew these cute little tags would add a little personal touch as she sent them off to Kindergarten and 1st grade! We each have a 5 year old and a 6 year old that started school this year so it has been a game changer to have more than half of our kiddos occupied during our work days. 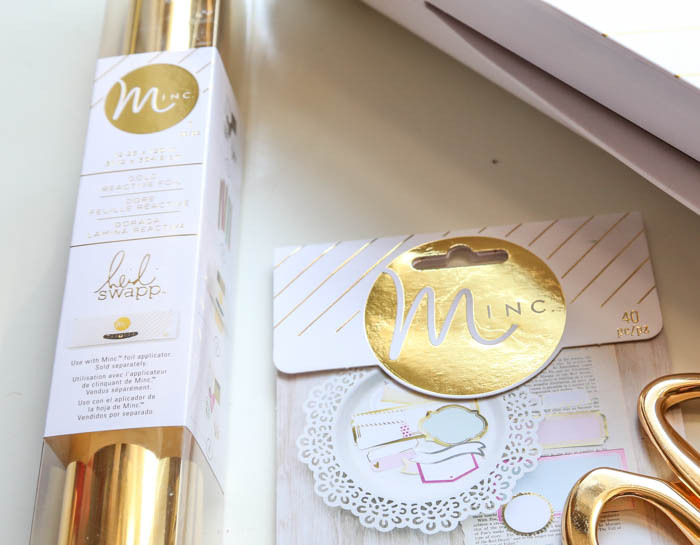 First, place your labels inside the transfer folder and cut out a piece of gold foil to cover the entire label. Overlap is okay! The foil can hang off of the edge, no prob! Run it through your Minc machine (we used a 4 heat setting). 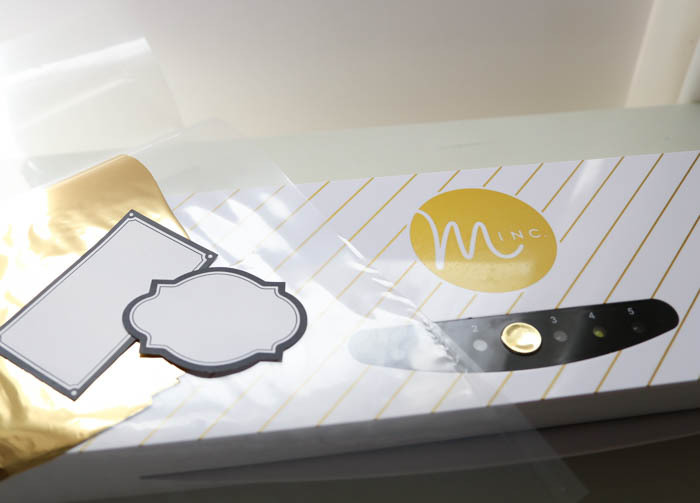 Peel back foil to reveal your foiled tag, add your child’s name by writing it or adding stickers (we used a vinyl decal) and laminate if you choose. Then, add a string to tie it to your child’s backpack and your’e ready to go! 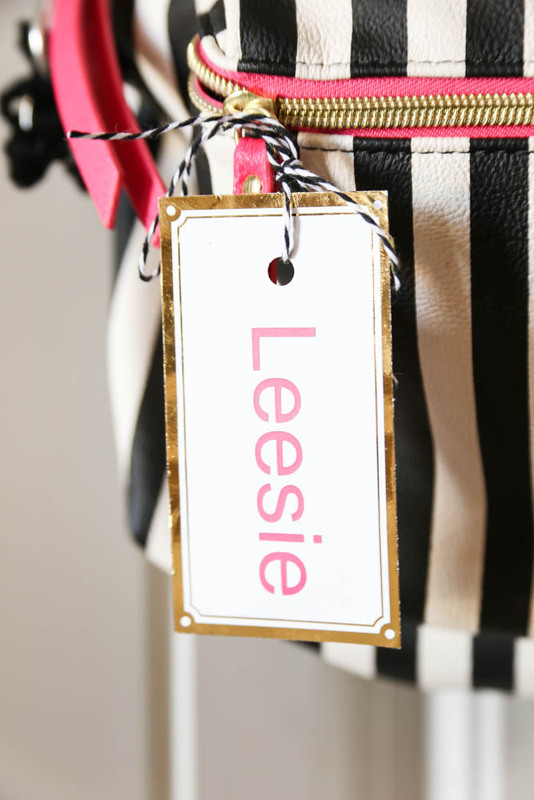 These would also make cute luggage tags but make sure you laminate them if they’re going to be used for traveling. I would suggest laminating any tags that you put on a bag. We took the photos without the laminate because laminated paper doesn’t seem to photograph well as it reflects the light. 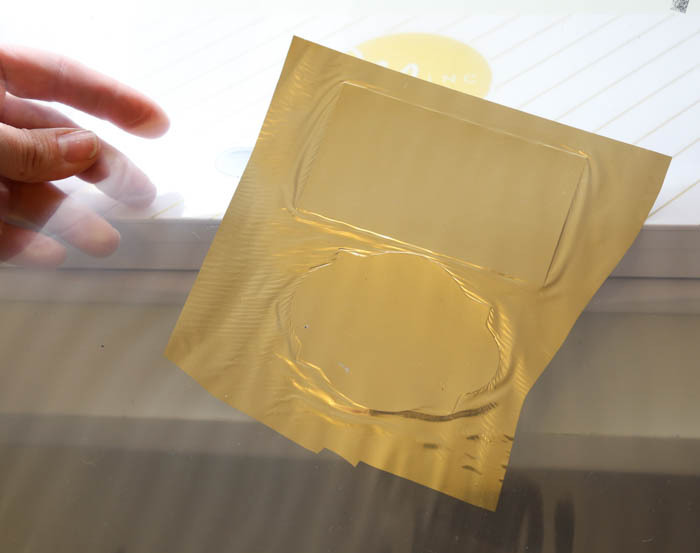 We love this laminator by Scotch. Great DIY. Going to try this at weekends.